We are also producers of extra virgin Sabina DOP in our olive orchards in Nerola and Moricone, grown with traditional techniques. In our nursery you will find skilled staff that can provide you the best advice for your garden whether it is small or large. buy Extra Virgin Olive Oil and Sabina DOP. 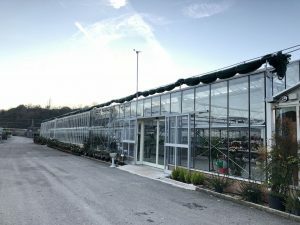 In this site, in Italian, you can find technical information on the trees that you can find in our nursery, as well as some advice on plant ptotection and how to grow your garden. All the trees grown in our nursery and presented in this web site are usually available all the year round, or, in some caes, in a specific season. To get in contact with us, you can call us, fill our contact form or send a message to our Facebook page. You can also check if the product you are looking for is available or on sale. Currently, we do not sell online. We invite you to reach us directly at the nursery during the opening hours.